 The $500 credit is only available to the customers who turn their Honda lease in to First Texas Honda. This credit may only be used towards the purchase of an in-stock vehicle at First Texas Honda. Offer excludes the purchase of a new Honda Fit. Offer valid through 12/31/19. 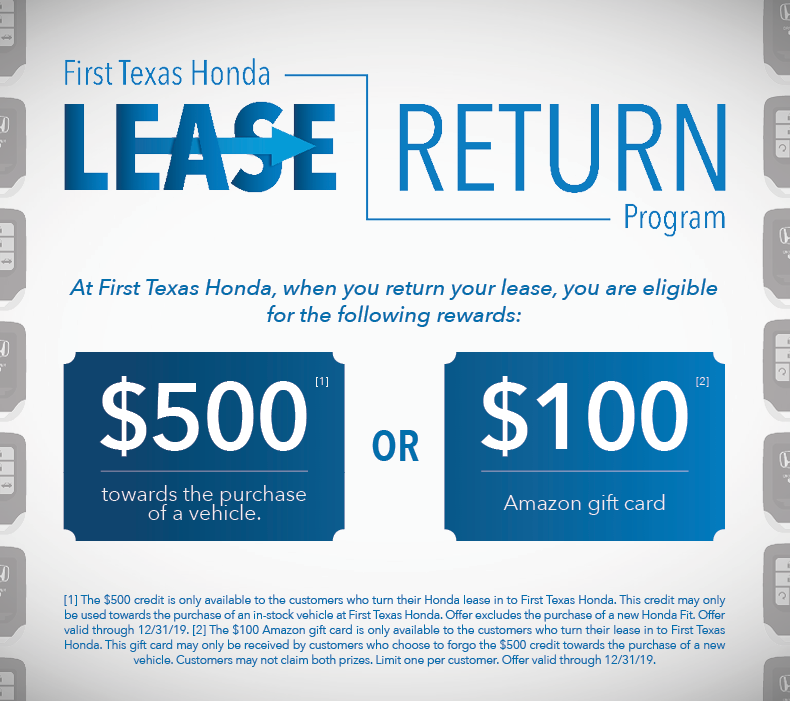 The $100 Amazon gift card is only available to the customers who turn their lease in to First Texas Honda. This gift card may only be received by customers who choose to forgo the $500 credit towards the purchase of a new vehicle. Customers may not claim both prizes. Limit one per customer. Offer valid through 12/31/19.